Many dogs struggle emotionally with the world around them. Carers strive to help rescued or nervous dogs cope with day to day life, but it is not always easy. 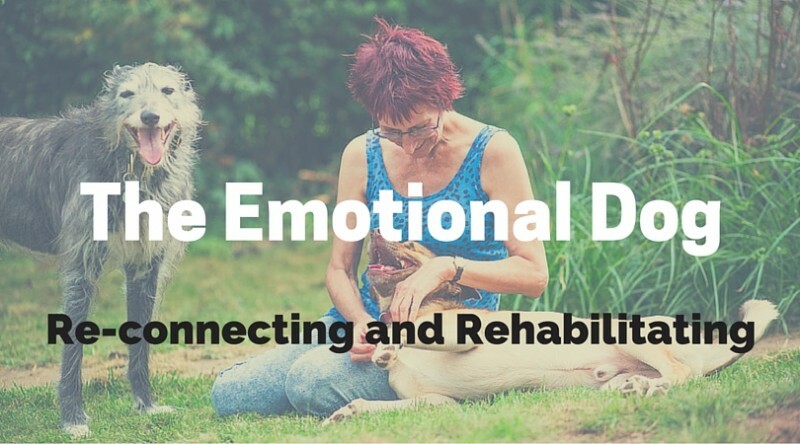 Watch Dr Isla Fishburn, Lisa Tenzin-Dolma and Toni Shelbourne on this forward-thinking three day course to see how we can develop our dogs’ emotional intelligence to aid them in making appropriate choices in their day to day lives. Learn also how your emotional state can also influence your dog, you and the people around you. Over the three day course Isla, Lisa and Toni worked with three dogs and their guardians. On the first day you will see how they assess the dogs. An individual training and care plan was then developed for each. There was also a vet present on the first day to give a fully rounded assessment and to talk about how pain affects behaviour. In the videos you will also learn more about emotional intelligence and how our emotions affect our animals. Over the next two days each dog and guardian worked with the Isla, Lisa and Toni who implemented the plan they developed after the assessments on the first day, with a few minor changes along the way, depending on the outcome of each session and what Isla, Lisa and Toni felt they needed the most. It had to be highly flexible, depending on what each dog needed at that moment in time. Viewers will learn about the individual modalities and specialities of each expert and be able to see how the training methods and therapies work together to aid in a holistic approach to behaviour through addressing mental, emotional and physical health. Over the three days, we could only hope to work on the tip of the iceberg for our teacher dogs and their guardians, but each partnership returned home with a full action plan of how to extend the work achieved on the course and how to put the advice into practice in everyday life. Dr Isla Fishburn: PhD, MbiolSci, BSc, Accredited Animal Behaviourist, Expert panel member for the Dog Welfare Alliance, INTO Dog Professional Member, Affiliated Member of The International School for Canine Psychology & Behaviour, Energy Practitioner in The Balance Procedure, L2 Reiki Practitioner, L2 Bach Flower Practitioner, Training in Zoopharmacognosy (expected to qualify Spring 2016), owner of Kachina Canine Communication. Dr Isla Fishburn, BSc in Zoolgy and MBiolSci and PhD in Conservation Biology, is passionate about creating a co-existence between people and wildlife. Along with her extensive qualifications in the realm of animal behaviour and conservation, Isla works as an holistic dog behaviourist who has worked with wolves, wolf hybrids and domestic dogs for several years. Isla developed a wide personal connective experience whilst working with wolves, and continues to have a passion for working with megafauna and bridging the gap between such animals and people. As such, Isla has established a commitment to canine conservation. Her experience as a conservation biologist who is eager to teach people about the importance of nature conservation quickly made her discover that conservation needs to begin at home; many people do not consider just what we expose our dogs to and how this can affect their very wellbeing. Isla’s mission is still to create a co-existence between people and wildlife, but first she must help people to co-exist with their domestic friend; the dog. Isla’s focus is on optimising the wellbeing potential of both dog and humans. Dogs, and other animals, are sentient beings that are constantly observing, listening, learning and, most importantly, feeling. Isla uses natural techniques and knowledge of canine social behavior to help improve or understand the behavioural responses of a dog. Isla specialises in teaching people about dog behaviour and wellbeing, that emotional states influence behaviour, and what we need to consider to optimise a dog’s wellbeing potential. Isla considers the emotional, mental and physical wellbeing of a dog and works with each dog as an individual. Isla also considers how natural healing can complement changes in wellbeing. As such, Isla also works with energy healing and Applied Zoopharmacognosy. 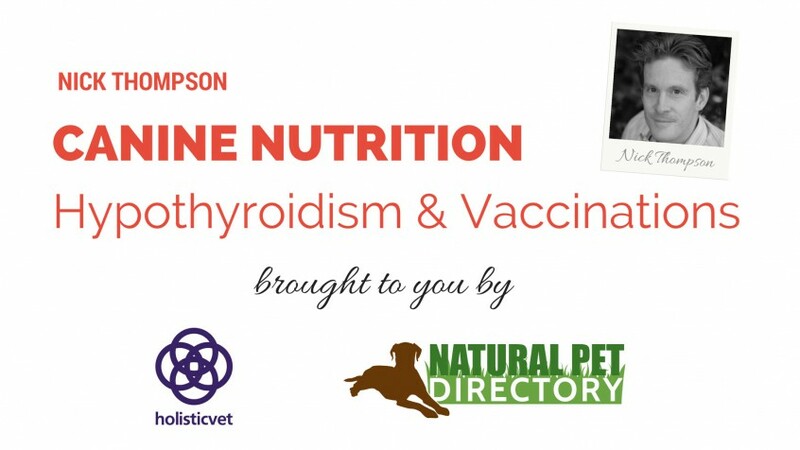 Lisa Tenzin-Dolma: Accredited Animal Behaviourist with a distinction in canine psychology, specialising in dog psychology and behaviour, particularly in rescue dogs, street dogs and feral dogs, and fear and anxiety issues. Lisa developed the Sympatico method of working with dogs, which is based on building trust and increasing harmony in relationships. She has a qualification in emotional intelligence and her interest in human and dog psychology led her to study advanced emotional intelligence, micro-expressions and subtle expressions as discovered by top USA psychologist Dr Paul Ekman and his team. Lisa is the founder and principal of The International School for Canine Psychology & Behaviour (ISCP), teaching students from all around the world. The ISCP offers certificate, intermediate and diploma courses in dog behaviour and psychology through distance learning, a certificate course in emotional healing and Bach Flower Remedies, and a short course on behaviour and body language called The Dog’s BFF Award. She is founder of the Dog Welfare Alliance, which links the public and professionals to improve dog welfare and raise awareness of positive methods, and which also donates financial support to rescues. Lisa is also the Chair of The Association of INTO Dogs, which is the first non-founder organisation to join the Animal Behaviour & Training Council (ABTC). She is on the Pet Professional Guild education committee, working with a specialised team to bring a deeper understanding of animal behaviour and welfare to professionals and the public. Lisa is the author of 26 books, including four books about dogs. “Charlie, the Dog Who Came in from the Wild” is about how she adopted and helped a one-eyed Romanian feral dog to overcome his extreme fear issues. “The Heartbeat at Your Feet: A Practical, Compassionate New Way to Train Your Dog” explores all aspects of dog behaviour and how we can strengthen bonds with our dogs. “Dog Training: The Essential Guide” gives step by step instructions on basic training. “Adopting a Rescue Dog”, which is available in paperback or as a free PDF file, is a short book that is widely used by rescues, fosterers and new adopters. She has written features for “Dogs Today” and “Dogs Monthly” magazine. Lisa teaches workshops on canine body language and emotional healing. To find out more about Lisa and her work visit www.theiscp.com, www.dogwelfarealliance.com and her personal website www.tenzindolma.co.uk. Toni Shelbourne: Tellington TTouch Practitioner, Real Dog Yoga Instructor, Author and Former Wolf Handler, Expert panel member for the Dog Welfare Alliance, Affiliated Member of The International School for Canine Psychology & Behaviour. Toni Shelbourne started her career with animals in 1989 when she was employed by The Guide Dogs for the Blind Association. She quickly progressed from kennel staff to supervisor and then on to the staff training department where she managed all the City and Guilds kennel programmes. In 1997 Toni studied under Linda Tellington – Jones and other top Tellington TTouch Instructors to become a Tellington TTouch Companion Animal Practitioner. She was one of the first to qualify in the UK and has really seen TTouch grow over the years in Britain and around the world. In September 2000 she left GDBA to pursue her passion for the Tellington TTouch Training Method and has been practising ever since. As a level 3 Practitioner, Toni is now one of the highest qualified practitioners in the UK. In 2004 she dual qualified as an equine practitioner, although chooses to concentrate on companion and captive wild animals. She has appeared alongside Sarah Fisher (The UK’s top TTouch Instructor) in the hit TV series “Talking to Animals” and has also been featured in and written articles for “Dogs Today” and “Your Dog” magazine. For ten years she worked with socialised wolves at the UK Wolf Conservation Trust as a senior handler and education officer, although left in 2011 to concentrate on her TTouch work and writing. Her first book, “The Truth about Wolves and Dogs, (Dispelling the Myths of Dog Training)”, was published in 2012. It has had amazing reviews and is on the recommended reading list for the Kennel Club KCAI Instructors course. In 2013 Toni teamed up with MSW Media to crate four short videos for YouTube to accompany the book. Her second and third book came out in 2015. “Among the Wolves” is a look at her life with the wolves behind the scenes and her third, co-authored with Karen Bush is the first in a series of help books for dog owners. The first “Help .. My Dog’s Scared of Fireworks” is a great resource, and many more titles will follow. In 2015 Toni enhanced her skill set by training as a Real Dog Yoga Instructor; a method which fits really well with the Tellington TTouch Training. Toni works privately with clients, teaches workshops, and give demos and talks all over the UK and abroad. She lives in Berkshire with her partner and their rescue lurcher Mr P, who came home with them after meeting him at Battersea whist attending the Real Dog Yoga course. We will also be joined on the first day by veterinary surgeon Dr Amelia Welham BSc (Hons) BVSc MRCVS. Amelia qualified from Pretoria University in South Africa. She has previously worked in Johannesburg and London before moving to Somerset. Amelia consults at both Bath and Paulton branches. She is particularly interested in canine and feline internal medicine. Amelia lives near Bath with her husband and their daughter. You have a choice of watching each dog’s journey separately or viewing all three cases. The information below will tell you what each dog’s guardian asked for help with. There is then a list of videos. 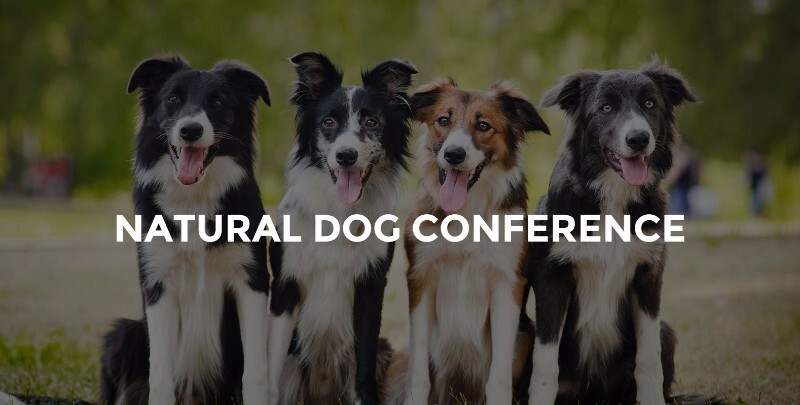 The first part are talks given on the first day and then each individual dog and guardian’s journey over the three days. Elska suffers from separation anxiety, although this is minimised by us always ensuring at least one of our other dogs is with her at all times. She is generally anxious about most things and has been on Fluoxetine for a number of years, this definitely helps her. She is dog reactive due to being attacked numerous times, although I can now manage this in most instances. She can be destructive although we manage this. She is very nervous around people she does not know, she tends to be very vocal and then removes herself from the situation, she has never been aggressive towards a person, however I am careful to ensure that she is never put in a position where she may feel the need to defend herself. She is reluctant to leave the house for walks; I currently hire a secure field to ensure that she can be exercised safely without the risk of any dogs or people appearing. We are currently in the process of trying to buy a house with land to minimise any negative impact on her being exercised. However, I am hugely concerned about the effect the house move will have on her. She and all of my dogs have attended puppy classes and have been well socialised and trained, we started experiencing problems with Elska at about 11 months after she had been attacked several times by different dogs. We have worked with a behaviourist and that really helped to give us more tools to manage her issues, but I am always on the lookout for anything that will give me the knowledge to help her cope with life better on a daily basis. She is the only remaining dog from a litter of eight, all the others have been put to sleep due to being people or dog aggressive. I also have a half-sister to her, who is completely issue free, and also Two Maremma sheepdogs. It has been proven that her ‘breeder’ is actually a puppy farmer and also that her heritage may not be what I was told. We manage her challenges as best as possible and always strive her to give her and the rest of our dogs the best life we can. About the course – Let’s start at the end! Introducing Lisa Tenzin-Dolma, Dr Isla Fishburn and Toni Shelbourne as they finish three days of teaching their intensive course The Emotional Dog: Reconnection and Rehabilitation. Three dogs and three incredible owners who live with challenging dogs, who normally don’t get to participate in courses due to their dogs anxieties. Day Two PM Toni Shelbourne introduces Elska to the Tellington TTouch body work. Summary and final questions Further info on each modality used on the course and how to learn more. Final Questions. Very sensitive and anxious dog. Rescued in Feb 2016. He is overly affectionate with people which owner sees as anxiety/desperation to be close to you. He is very obedient but his guardian would like to find ways for him to be more confidence and secure in his surroundings. He often carried his tail very flat and is hyper vigilant. He is usually with his guardian or her mum but when left is destructive. He doesn’t cope with being left in the car as destroys it. He is good with dogs off leash but on leash tenses up and can bark and lunge. Ella and I have been through a very traumatic time since her puppyhood. I suffered a bereavement and became very depressed and ill. I believe Ella has suffered because of this and other variables. She had a fit with the first lot of jabs. Ella hates her ears and feet being touched. I believe because of rough vet treatment in the past. She was first attacked by a Staffy puppy when they were both about 3 months old. She was shaken up but not physically hurt. When Ella was about two we visited a friend. When we got out of my car my friend’s dog came running down the track and grabbed Ella, running off with her. I managed to get the dog to drop Ella. She screamed her head off for what seemed like an eternity. I believe Ella was severely traumatized by this. Ella hates her sides being touched. I had her vet checked and I was told she is fine. She has hip dysplasia too. I have tried Bach remedies and give Ella shiatsu which she loves. Day Three AM Lisa Tenzin-Dolma introduces Ella to Bach Flower Remedies. Please note, due to personal information, a lot of the interview conducted by Lisa with Ella’s guardian has been removed to protect her privacy. What we can say is that Ella’s guardian has suffered a number of traumatic experiences and bereavements within a short space of time, and suffers from health issues, all of which have affected her relationship with Ella.